The Lady Warriors dominated the contest through the first 22 minutes. 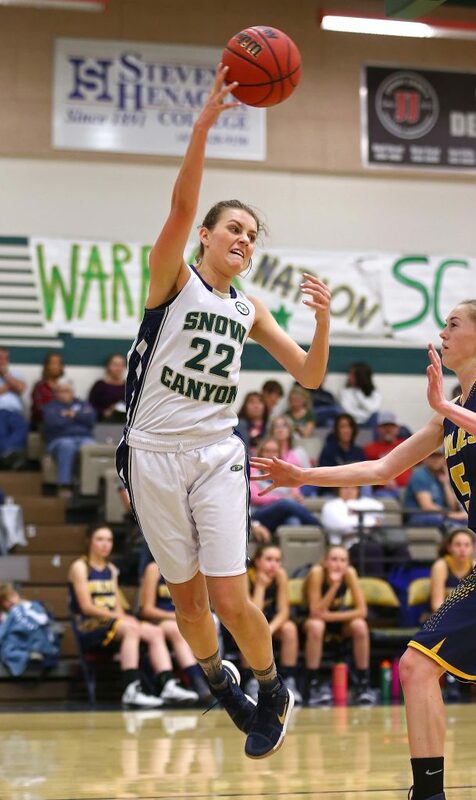 With just over two minutes remaining in the third quarter Snow Canyon held a 35-22 lead. 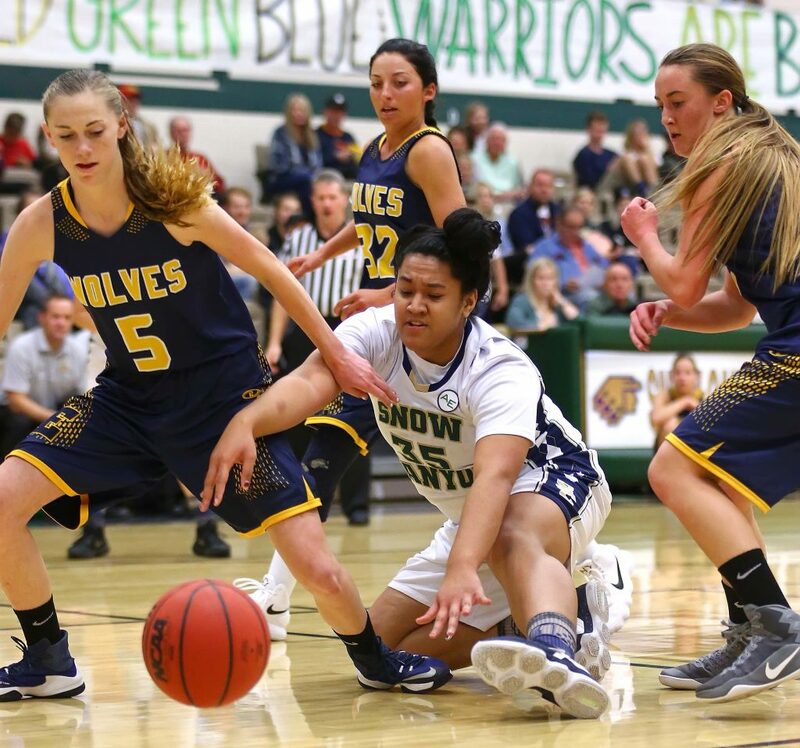 But then starting point guard and Preseason All Region 9 guard Tylei Jensen picked up her fourth foul and had to take a seat next to head coach Ryan Rarick. Enterprise closed the third quarter with a 14-0 run. 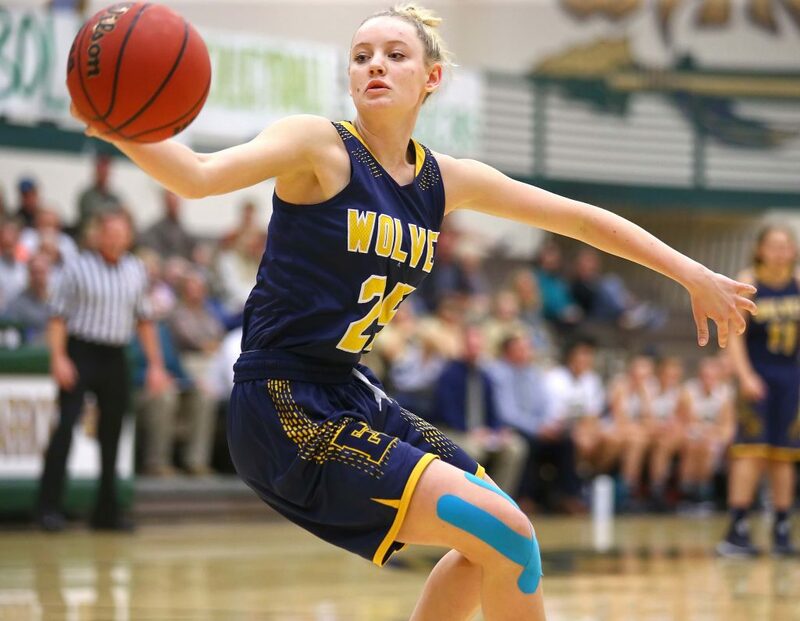 Rarick reinserted Jensen with 6:30 remaining in the game but her stay lasted just over a minute before she fouled out. The Warriors managed only two baskets the remainder of the game. To start the game it looked as though the Warriors were going to run away with the game. 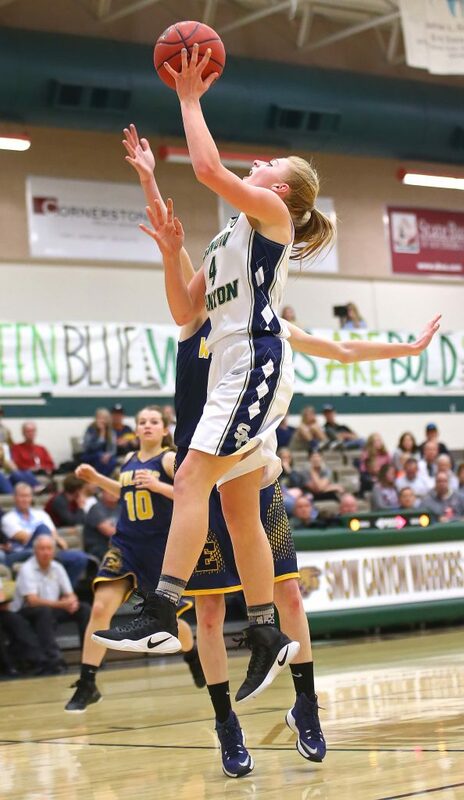 Jensen and Preslee Gates both nailed 3-pointers to give Snow Canyon the early 12-2 advantage midway through the first. Hallie Remund knocked down another trey to get the score to 17-7. 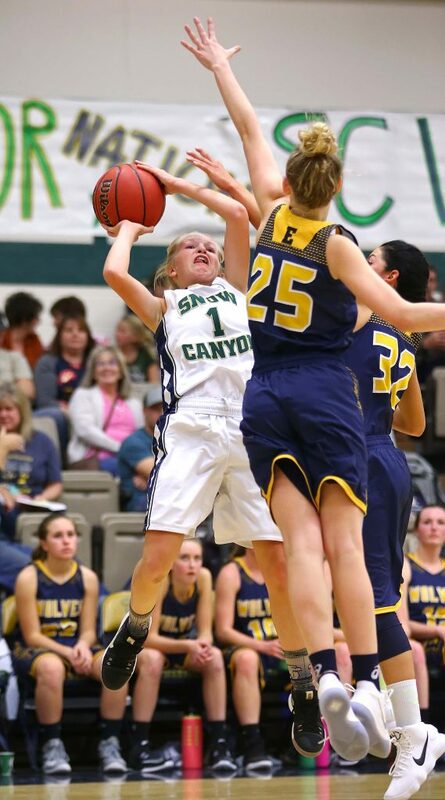 Jessica Holt hit the Lady Wolves’ first 3-pointer to close the gap to 17-10 going into the second quarter. Enterprise was able to close the gap to two with 3:20 remaining. 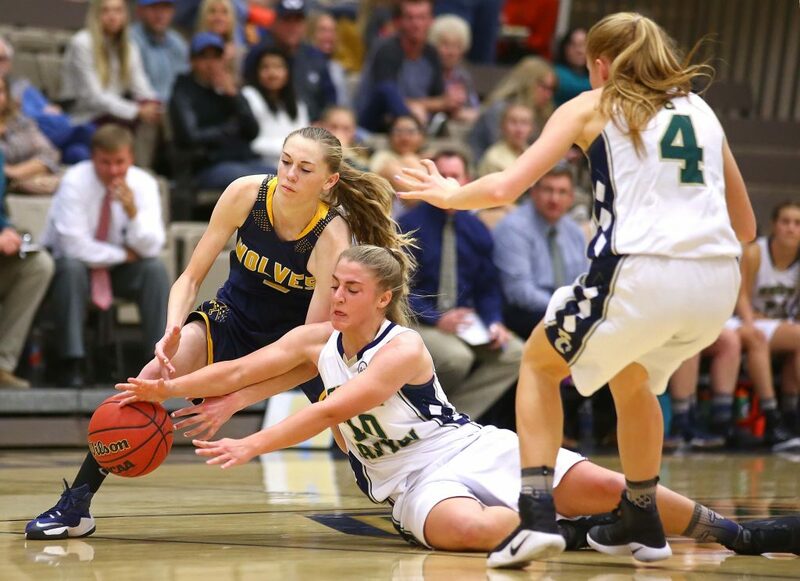 Kaytlyn Miller got a steal and fast break and then Kindy Christensen got a basket on an out-of-bounds play to pull within 19-17. 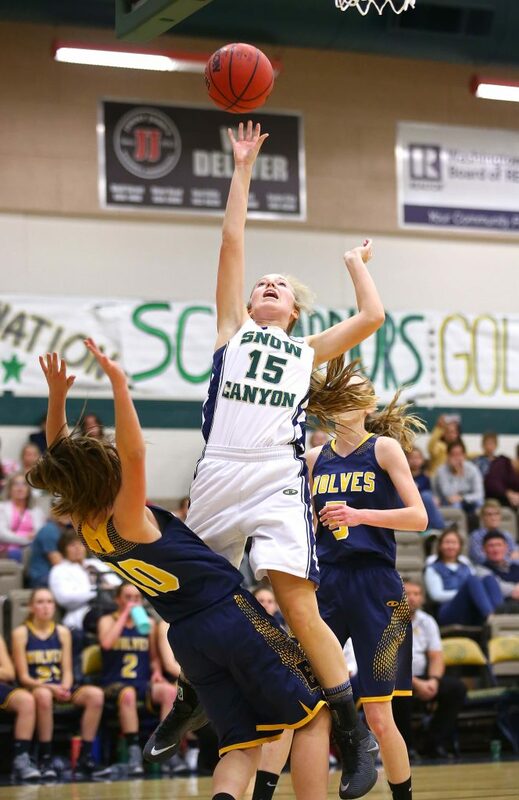 But Snow Canyon finished the half on a 7-0 run, starting with another trey from Jensen. Allie Parr’s free throws in the last minute gave the Warriors a 26-17 halftime lead. 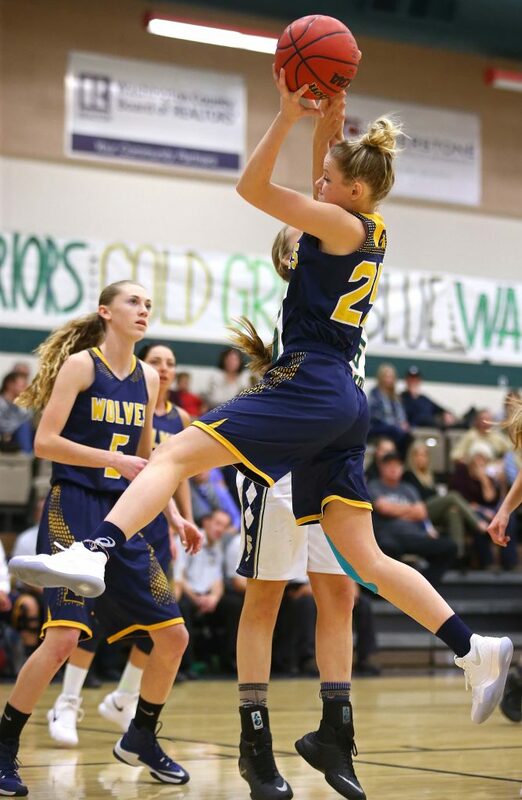 Jensen started the second-half scoring with her third 3-pointer to move the lead back to double digits 29-19. 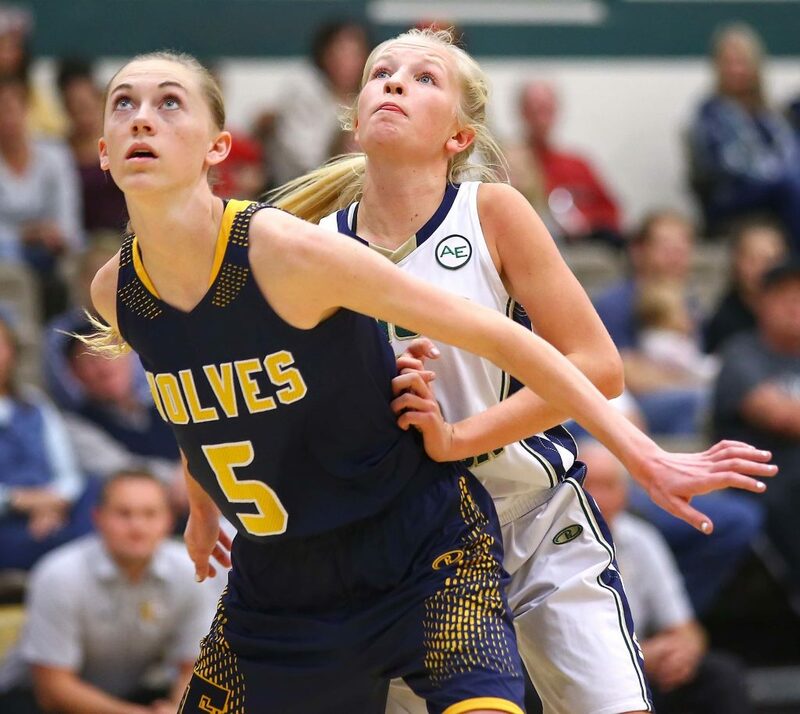 Parr and Melenaite Kata both scored on inside moves to give the Warriors their biggest advantage leading to Lady Wolves’ run. In the first half, Holt was held to just the three points she scored at the end of the first. 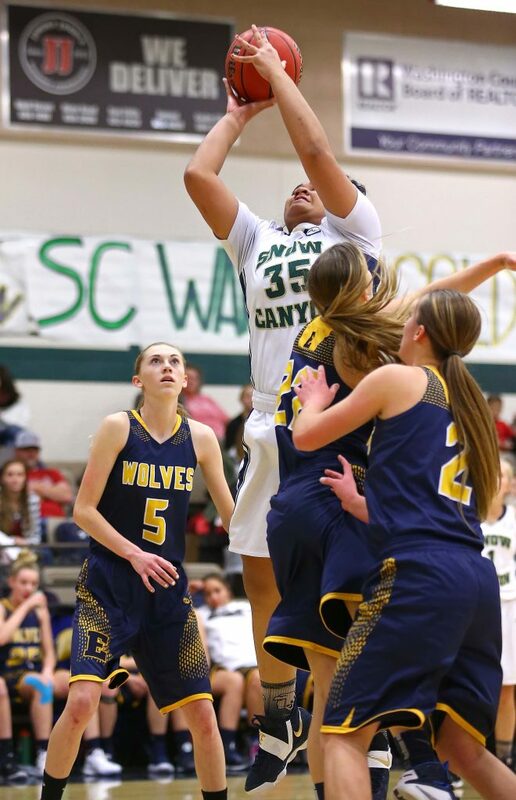 She keyed Enterprise’s second-half comeback with 15 points. The 25-point swing came in only 5:42 of game clock. 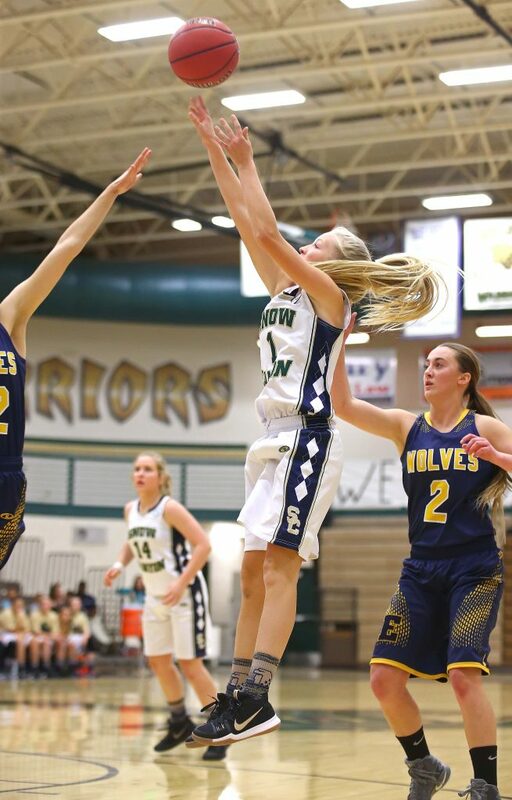 Individually for Enterprise, Ellie Shurtliff and Averie Staheli scored eight apiece. Ronnie Robinson scored seven. 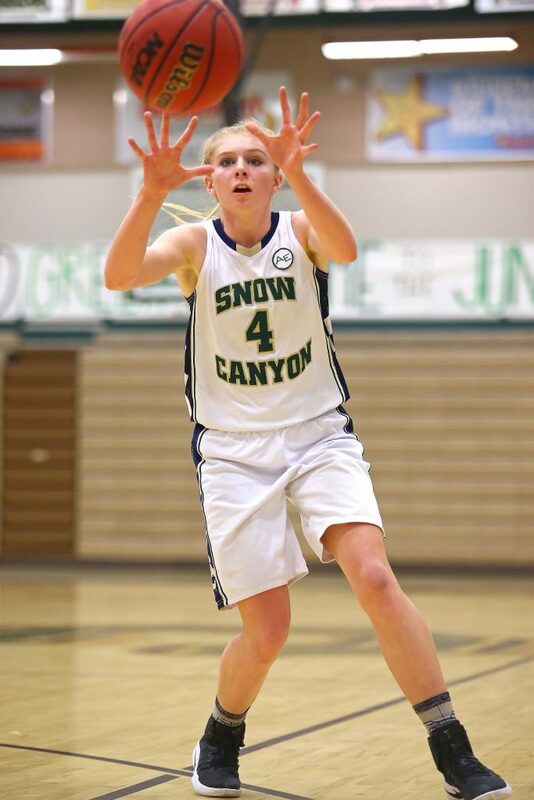 For Snow Canyon, Jensen led the team with 11 points and four steals. Remund scored 10. Natalie Parr had six points and eight rebounds. 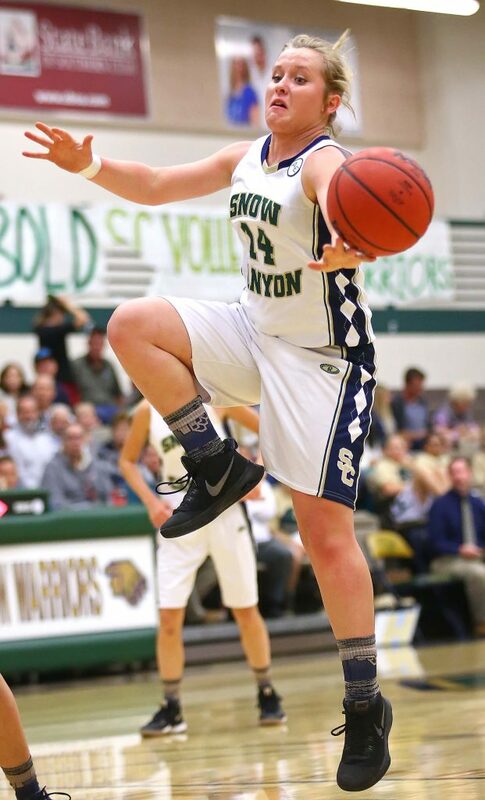 Kata had five points and five rebounds. Jensen and Natalie Gunn each had three assists. 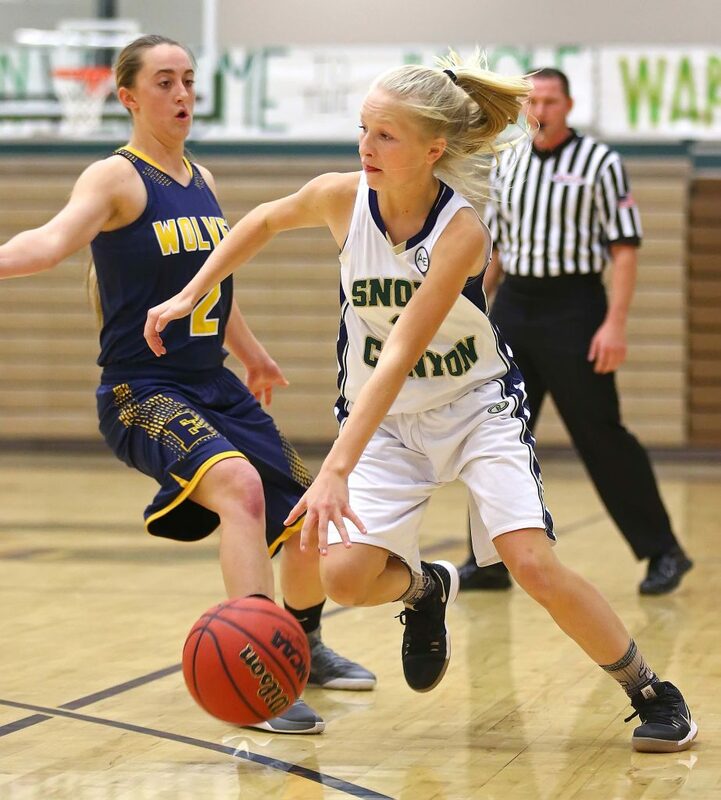 The Lady Warriors will play again Nov. 30 when they host Juan Diego Catholic. Game time is scheduled for 8 p.m. The Lady Flyers took a beating over the first three quarters against Beaver. Beaver led 47-15 going into the fourth quarter. Dixie was able to almost double its score in the final quarter. 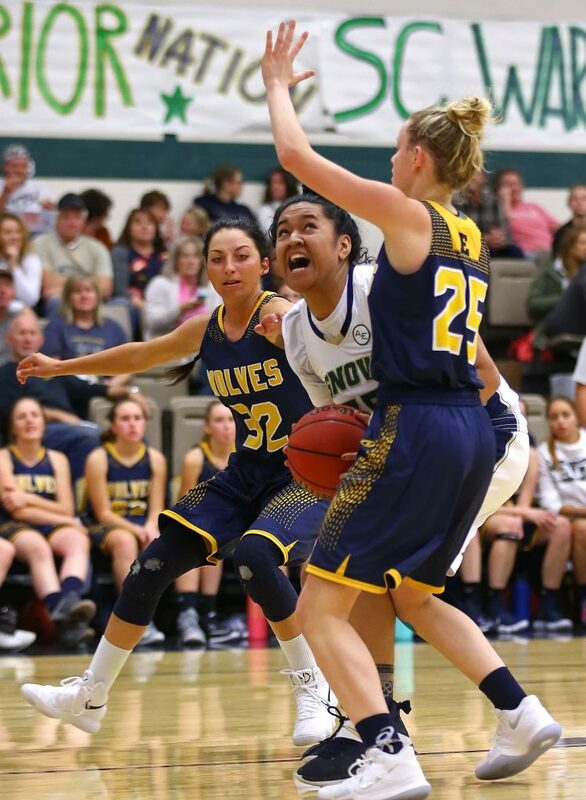 Individually for Dixie, Mel Alo led the team with nine points. Sina Schwalger had seven. 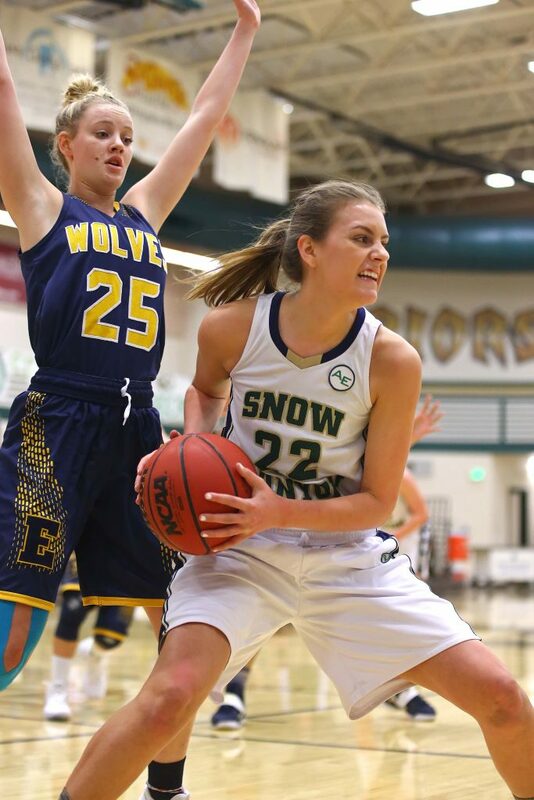 Emily Lemke led the team with six rebounds. Dixie will play again on Dec. 1 when the Flyers will host the Dixie Invitational. The Flyers will play Green Valley (Las Vegas) at 6:30 p.m.